As a busy mom, I need to have a watch that is functional. 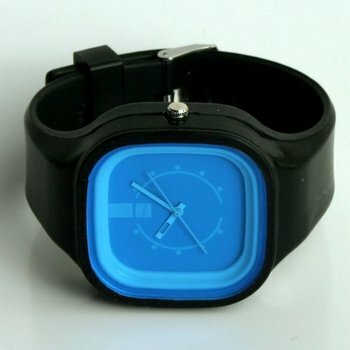 Modify™ Watches are not only perfect for everyday use but they are really stylish and fun too! In fact Modify™ Watches are suitable for the entire family including mom, dad, kids and teens. Do you remember those bright, neon and candy colored watch bands from the past……hello, 90’s? Modify™ Watches has taken this look to bold new levels with interchangeable faces and straps that allow you to create many different color combinations to suit your mood or special occasions/events such as team colors. There are 13 fabulous faces and 9 stylish straps for lots of fun, stylish possibilities. You can choose your own color combination or select from those that are already ready to wear such as the popular black/blue model known as “Bar Fight”. It was surprisingly simple to change out the face and bands to make a whole new look. I just slipped the face out of the band and then popped it easily back into place into the next one. I have worn my Modify™ Watches almost every day, including outings to theme parks, hikes etc. I really like that it is water resistant and there were no issues when it got splashed on a water ride on a recent visit to Legoland Florida. I also appreciate that these watches are very affordable at only $45/combo and there are multiple kits available as well. Modify™ Watches are a fantastic gift idea for even the pickiest person on your shopping list. You are invited to visit Modify™ Watches to find the perfect watch for that special someone and while you are browsing why not pick out your favorite combo for yourself too! One lucky reader will receive a Modify™ Watches! Berries is my favorite. It can b worn with anything. Thank you for the opportunity to win it. I liked barfight and goldblum!